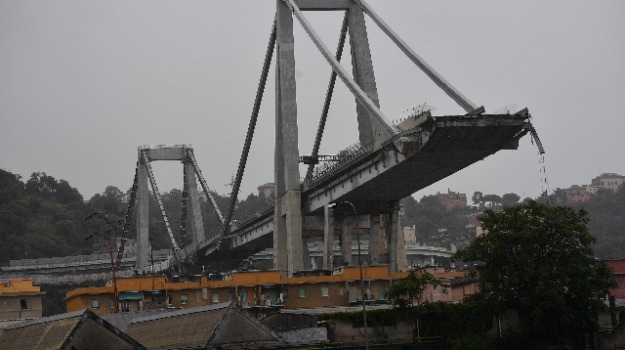 bridge in Genoa collapsed on Tuesday. Five injured people were in hospital in a serious condition. Many victims were in crushed vehicles, rescue sources said. Four people were pulled out alive, rescue sources said. A child is among the victims, police sources said. highway viaduct when it collapsed, killing many people. 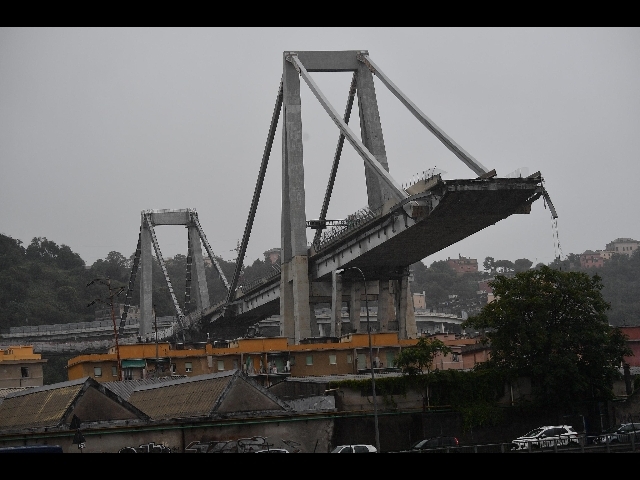 the bridge and we saw the bridge go down," Pietro M. told ANSA. the Genoa-Milan railway line and the river. the Genoa viaduct could cave in. "There is a risk the other parts of the bridge could fall,"
one of the rescuers said.